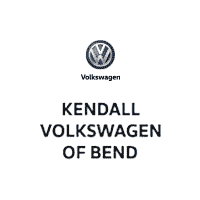 Kendall Volkswagen of Bend is proud to be your premier VW Dealer of new and used Volkswagen cars, services and repairs in Oregon and the greater Pacific Northwest. As part of the Kendall Auto Group family established in 1937, we understand what it means to belong to a great legacy. When you buy a Volkswagen you are more than a vehicle owner- you are a VW owner and part of a large family of dedicated VW owners. We would love to help you buy your next Volkswagen, or your first, at our Oregon Volkswagen dealership. Our Kendall showroom is located at 1975 NE Hwy 20 in Bend, OR 97701. We are only a short drive away from the areas of Redmond, Prineville, Madras, and La Pine. While you’re here experiencing the Kendall family difference, let us show you some of the new VW lineup and take you out for a test drive. You’ll love the classic style of the Volkswagen Jetta, the turbocharged engine in the Volkswagen Passat, and the off-road capability of the Volkswagen Touareg. You could even test drive the Volkswagen Golf GTI, just go easy on the gas pedal. These award-winning German-engineered vehicles were built for durability and longevity, lavishly equipped with safety features, and topped off with a variety of powerful engines to choose from. Stylish and luxurious with dozens of available trim levels and customization options, it’s no surprise that the Volkswagen brand has one of the most faithful customer followings in the world. 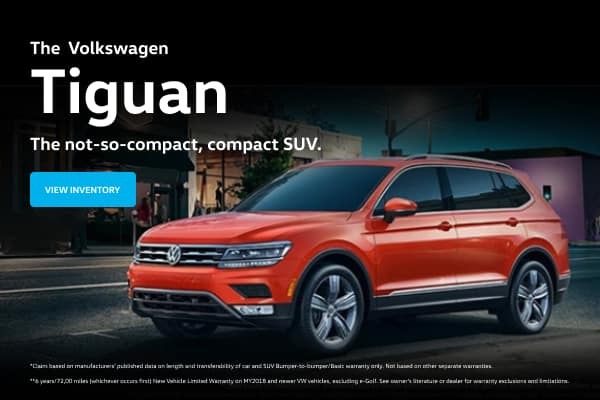 We welcome our customers who are looking for a new VW car to browse our site to learn about the new Volkswagen cars and SUVs that are available here in our new Volkswagen inventory. Additionally, we have a wide selection of used cars in Bend at our Kendall showroom. Kendall Volkswagen of Bend understands that not everyone is in the market for a new Volkswagen car. That’s why at our used car dealership you will not only find new Volkswagen cars, but a large selection of used cars in Bend as well. Our large inventory of used cars provides our customers looking to make an automotive purchase with many options. Furthermore, within our selection of used cars we have an inventory of Certified Pre-Owned Volkswagen cars. To ensure top quality, our certified cars have gone through several tests and multiple-point inspections. Shop our Bend used cars, then give us a call or contact us online if you have any questions. You can trust our Volkswagen Service Center for all your VW service and repair needs. We’re here to ensure that you and your vehicle are treated with the care you deserve. Our VW service technicians are trained to handle all regular maintenance and major repair needs. You can schedule your next maintenance appointment with us online or over the phone and we will get you back on the road and back to your life as efficiently as possible. We also carry VW parts and accessories in our Volkswagen Parts Center. Let us know if we can help you find a specific VW item and we will make sure you get it in a timely manner. If you have trouble finding the new Volkswagen or used car for sale you’re looking for or have any questions whatsoever, please feel free to contact our friendly and knowledgeable team of Volkswagen professionals by phone or online. We look forward to assisting you throughout your VW purchasing experience and beyond.